يوفر فندق فندق ستامفورد بلازا بريسبان ظروف إقامة راقية وهو خيار رائج للسياح ولرجال الأعمال أيضاً. يقع في منطقة سياحة, مطاعم, تسوق من بريسبان. يسهل الوصول إلى هذا الفندق ذو 5 نجوم من المطار، فهو يبعد عنه مسافة 15 km فقط. كما يمكن الوصول بسهولة إلى القنصل العام الكوستاريكي, ‪Brisbane Hebrew Congregation‬, كنيس يهودي. ببساطة كل الخدمات وأساليب الضيافة التي تشتهر بها Stamford Hotels & Resorts تجعلك تشعر وكأنك في بيتك. يمكن لضيوف الفندق الاستمتاع بالميزات التالية على أرض الفندق: خدمة الغرف على مدار الساعة, مكتب الاستقبال على مدار الساعة, مرافق مخصصة لذوي الاحتياجات الخاصة, تسجيل وصول/خروج سريع, تخزين الأمتعة . استمتع بوسائل الراحة الراقية في الغرف أثناء إقامتك هنا. بعض الغرف تتضمن تلفزيون بشاشة مسطحة, غرف لغير المدخنين, مكيف هواء, مكتب, ميني بار لمساعدتك على استعادة طاقتك بعد يوم طويل. يمكنك طلب اللائحة الكاملة للخدمات في الفندق ومن بينها مركز للياقة البدنية, ساونا, حمام سباحة خارجي, حمام سباحة داخلي, سبا. مهما كانت أسبابك لزيارة بريسبان، فإن فندق ستامفورد بلازا بريسبان هو الخيار الأفضل لإقامة مثيرة وممتعة. أقصى عدد للأسرّة الإضافية المسموح بها في الغرفة هو سرير واحد. Booked suite for my birthday weekend Over all had enjoyable time. It is the little things that caught my ire. 1. Bath robes not replaced each day. Had to ask for them. 2. Toiletries sort of refilled. 3. Used shoe cleaner and not replaced. 4. Door to fridge (looks like set of draws) Not open and close properly. 5. No papers available at breakfast or concierges desk. Love my papers with breakfast. 6. In the "good" old days there were waffles with honey from the hive. Now gone. 7. Were eggs Benedict, then make your own and now none. 8. Get your own coffee. Was served at table for breakfast. 9. The room was cleaned each day but not all bins emptied, paper on floor of bathroom (small) not swept up. 10. Phone next to bed not operational. As I said was the little things that caught my ire. Will I stay here again? Most likely as love the location and out door dining area. A great hotel, in a great location staffed by great people. Can you ask for anymore? I doubt it. I've stayed here a few times in the standard King Room and the Junior King Suite. It's a pretty good hotel in some ways, but there are numerous niggling frayed edges. The room service offerings aren't all that interesting and the staff are a bit too Australian Casual. Polite Informality is one thing and that's fine. However, answering requests in a 5-star hotel with "not a problem" is pretty unprofessional though. This happened virtually every time I phoned room service or the front desk. To be fair, the concierge desk staff ARE very professional. The strangest thing was laundry. It comes back with everything safety pinned to hangers. So one spends a good chunk of one's valuable time (otherwise why would one be in a 5-star hotel and not a 4-star serviced apartment?) unpinning clothes and risking getting stuck on one of these pins. To add insult to injury, they pin the bill to the laundry with a regular non-safety pin. Do they want to give their customers septicaemia or tetanus? For extra bonus points, one day when housekeeping emptied my waste paper basket, they managed to leave said nasty dangerous pin lying on the carpet and it was only luck that i didn't step on it. Frankly, better handling and presentation of laundry (not cheap after all) is a no-brainer. Why do things like it's a Travelodge, ca. 1975? None of these were deal breakers and I'll almost certainly stay there again on future trips. I just wish all the staff could be like the guys on the Concierge Desk. Check-in was quick and efficient. Hotel room was ready. Hotel room had lovely views of the river. Buffet Breakfast was included in the package- I enjoyed the wide selection. Had a quick dip in the spa after breakfast. It was nice having the pool to ourselves. It's been nearly 8 years since I last stayed at the Stamford Plaza Brisbane, and it's been well maintained. 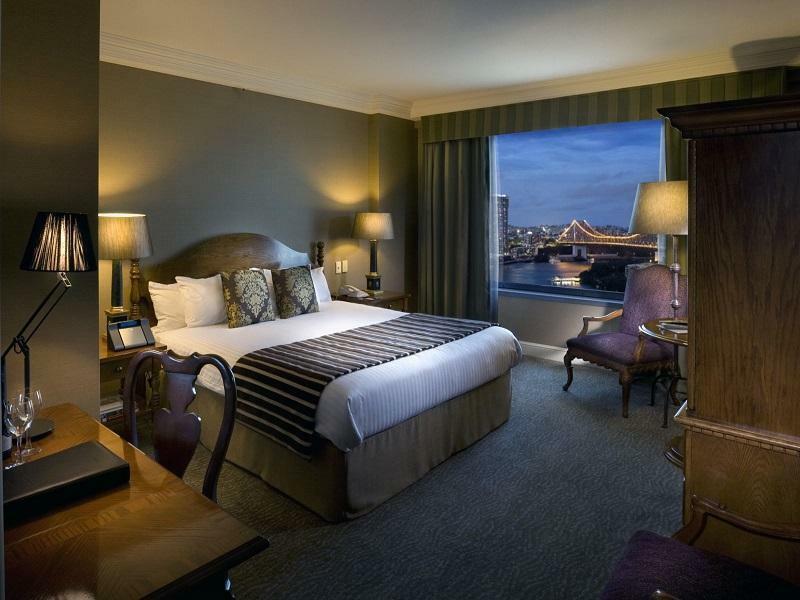 Hope it won't be another 8 years till I stay at the Stamford Plaza Brisbane. Fantastic location on the river, with comfortable beds and a spacious roll. Reception staff need better hospitality training, but concierge and porter staff were lovely. On arrival my bags were bundled onto a trolley with other people's items. I waited for 30 minutes and had to ring concierge twice before they arrived. The porter virtually threw them into my room and as he was leaving I noticed my laptop bag was missing. He argued that he had brought all of my things. I described my bag as a black crumpler and waited for an update. 10 minutes later I called concierge who once again said they had brought me all of my bags. I then left my room and went to the arrivals area where the bag was still on the common trolley. The concierge just watched me as I collected it and went to my room. My phone was flat by this time as the charger was in the laptop bag. Later in the day I went to concierge and asked what they were going to do - apologise or offer me compensation? Once again he said it was my fault! The manager eventually took $50 off the room rate. Later in the day I arrived in my room to discover a cleaner trying to remove my items! Where's Sybil? The hotel is in a top location, the staff I encountered were great. I stayed 6 days some days my room was totally cleaned other days it was partially cleaned with only the bed remade. Little things add up like having to pay for coffee at breakfast and one I couldn't understand was charging for Wi-Fi from what information I was given it was $15 a day or thereabouts. Heavens above you can get free WiFi in the mall. These types of charges disappointing but the hotel is in the right place and so are the staff. The location of the hotel is good, however carparking is unbelievably expensive. WiFi is only free for 30 minutes and the rooms and reception is very dated. Needs a good renovation! Staff were super attentive and nice though! Probably would look for a more recently built or renovated hotel next time. The hotel has a great location by the river with amazing views of the bridge. The Botanic Gardens are next door. The entrance area is really grand and elegant with an amazing staircase. 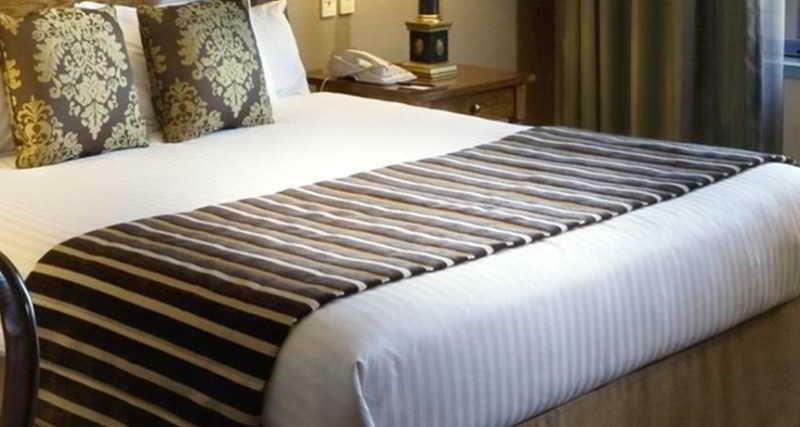 The rooms are large and very stylish and comfortable with large bathrooms. We loved the PAV bar in the courtyard but did not try the Brasserie. The staff are really helpful and friendly. It has the added bonus of a pool and jacuzzi on the third floor with sun beds. Very nice hotel as would be expected from five star rating. I just find it rude that they charge $45-$55 per day to park your car. Complimentary parking would be nice considering how much a room costs. Really lovely hotel. Great view. Bed lovely. Room service meal a little bland and unremarkable but nice to be able to stay in. Room service breakfast menu limited to the clichè. Could do with some imagination in that department. Add $45 per day to be able to park your car. I'd stay there again but go out for meals and not bring a car. Arrived from the airport in a limo to be ignored by the concierge on duty who was at his desk on the phone talking to someone more important than something so insignificant as an arriving check-in guest. Hotel is clean and appears well-maintained. However the fit out is looking very old and tired. As is generally the case in Australia, property is understaffed due to high wages. Buffet breakfast probably looks extensive and good to a little green man just arrived from Mars, but is pretty poor. Chef on duty can't cook an omelet properly, and if you can't do that, what kind of 'chef' are you? Laundry comes back full of pins (not safety pins) designed to give guests blood poisoning. Had one slightly weird experience on my last day when two members of the housekeeping staff attempted to enter my room without knocking or ringing the bell. Wasn't totally convinced by their explanation when I confronted them about it. Phoned the front desk who promised to pass on my concerns. Never heard anything back from anyone about this. Apart from that, perfectly OK hotel :)... It's not like any of the staff are particularly slack or unpleasant... it's just that hotel seems understaffed and it also seems that there is no spirit to the place or the service. Everyone is just going through the motions. The Hotel has a central location which made it easier to take leisurely walks along the river and find great places to eat. The room we stayed at itself was comfortable with a huge bathroom. 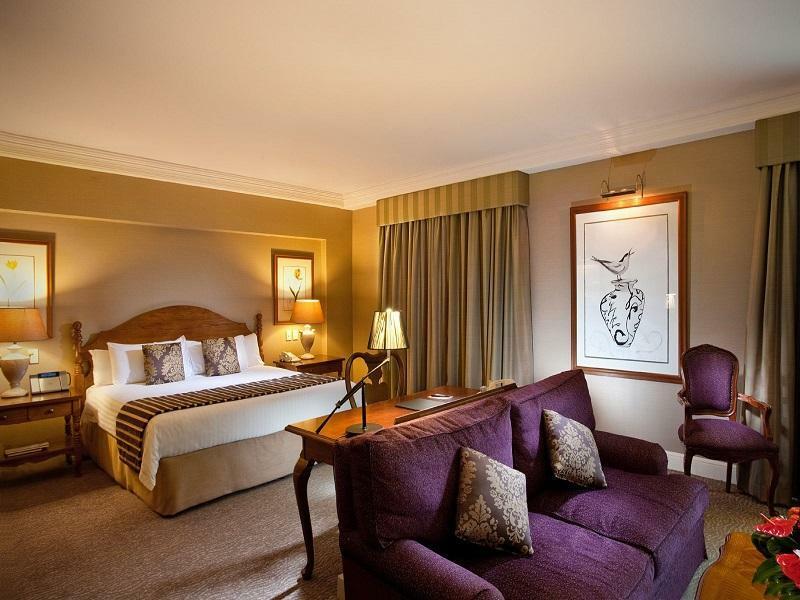 Whereas the room is not decorated to a modern style it has a sophisticated charm and is very comfortable. The only issue we encountered was that the pool was not available due to scheduled maintenance which we were not advised of until we venture to the pool during our stay. We stopped over for our anniversary, the concierge and booking team were great at arranging champagne and flowers in the room, the room was really nice, cosy and clean. We ate in Moo Moo which was booked by the hotel, really nice food and service. Breakfast was a scrum! Slow to get in and then a bit travellodge rather than top hotel to be honest, pancake machines? Luckily the breakfast was included in the room! Checkout was easy and we really enjoyed our stay, we would stay again. Enjoyed a solo stay here for two nights and it was very comfortable. Normally I travel with a toddler so child-friendliness is still on my mind. My only suggestion is that some kind of wheelchair/pram friendly access be incorporated on Margaret Street, as otherwise it's a bit indirect to go from the guest lifts to the direction of the CBD. Other than that, very pleasant stay. Their outstanding quality and service were impressive. We like the buffet breakfast they offered every day. We were also impressed by the service at concierge provided by Lincoln in particular. He was pretty detailed minded and provided extraordinary recommendation on dining out at amazing restaurants. Well located on Brisbane river and only a short walk away from the CBD I enjoyed my stay. Friendly staff and good facilities. Overall I enjoyed my stay. However, asking $24 per day for wireless internet in the room is a bit steep. Nowadays free WiFi is standard in every backpacker hostel, why should you pay extra in a 5* hotel?